Check To Make Sure Your Burners Are Blowing Blue Flames, Not Yellow. The heating of your home is so important. Here at West-O-Plex Air Conditioning and Heating, we take furnace repair very seriously because we never want you to be stuck in a cold home for long. A home furnace repair can usually be done in the same day, depending on what the problem is. We will always be upfront with you and if the problem is beyond repair or we think that it will continue to happen, we will recommend that you get a replacement. If we think that the heating repair is fixable though, we will always go that route and try to save you as much money as possible. There are ways to check out the problems yourself before you give us a call to come out if you would like to go that route. 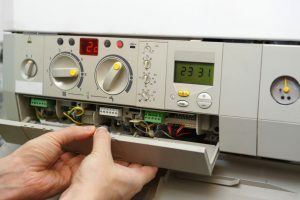 Sometimes you might have an emergency heating repair in the middle of the night or on the weekend, so we want to give you a few tips that may get you through until we can come out and check it out for you. We have a team of highly qualified technicians that have been trained, certified, and insured so that you can feel confident that you are getting the very best during your home heating repair. We work on all different brands and types of furnaces and have seen all of them one time or another. If you have questions about any of them or are looking to get a new one down the road, we can help you find one that will work best for you and meet the needs of your family. Being cold is one thing, but when your furnace stops working properly, it can be dangerous, especially if you have to leave your pets home all day or if you work from home. We recommend that if your furnace does go out, that you go out and buy a space heater right away to at least hold you over and keep you comfortable. If you need any type of heating repair service in Fort Worth, TX, make sure that you call our team right away at 817-244-2511 and we can help you get the job done as quickly as possible. Sometimes the problem is that your furnace will turn on, but the air that is coming out of it is not hot. This could be a sign that your air filters need to be changed. When air filters get clogged, the air cannot go through them and there is no way that the heat can get into your home. Making sure that your filters are replaced every 3 months is a very important part of the regular maintenance that you should be doing on your home. This will also be able to improve the indoor air quality that you have inside your home so if you are sensitive to allergens or have a child with asthma, this is an important step. Changing your filters will also help to prevent these kinds of problems and future central heating repairs. If the above hasn’t convinced you yet, changing your filters will also help to keep your energy bills lower as well. Before we come out for a heating service and repair, make sure that you check to see if your thermostat is turned to the on position. Sometimes you might miss that the thermostat is turned off and end up calling us to come out for a heating service repair but really have no issue. You should also check to make sure the batteries aren’t dead and then make sure that it works correctly by setting the time and date correctly so that if it is set on a timer, that it is turning on and off at the times you want. 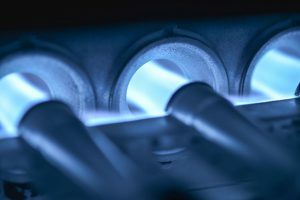 If you think you need a propane heater repair, the first thing you should do is check to see if the burner light is still lit. If this has gone out for some reason, it will just need to be re-lit. You also want to look around the area of the burner and make sure that it is all clean. You can look at the color of the flames and determine if something is wrong that way. If the flame is blue and they are both evenly burning, they are fine, but if they are burning yellow, it is because your burners need maintenance. This, of course, will only work if you have a gas furnace. Make Sure You Call Us For Your Next Furnace Repair. When you are stuck with a furnace that isn’t working properly, call us for a furnace repair at 817-244-2511. If you tell us what is going on over the phone, we will likely know what needs to be fixed and will be able to get it done right away. Furnace repair is something we see all of the time and especially in the winter. If you haven’t had your furnace maintenance done or serviced in a while, we recommend that you have that done regularly. Our pros here at West-O-Plex Air Conditioning and Heating, are here to help you when you need it most. When you need a furnace repair in Fort Worth, TX, we want to be your first call. Updated on January 16, 2019 at 4:55 pm by West-o-plex.